Lunch time is full of such anticipation for preschoolers and students alike. There’s the welcome break from the classroom – and then there’s the delight of discovering the delicacies in the lunch box. 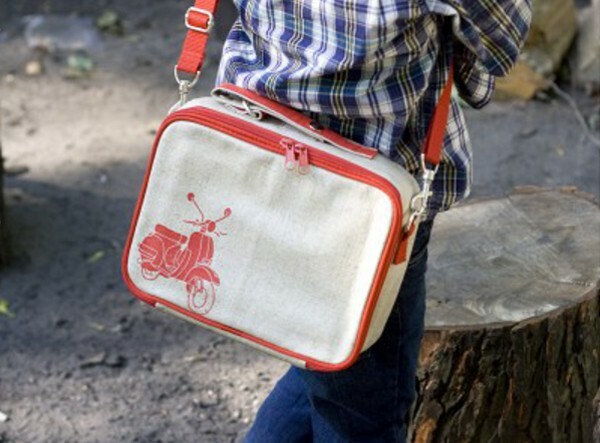 Why not jazz up break time a little more with a fabulous way to tote a delicious lunch? Here’s our guide to some lunch box luxury (and a couple of treats to stow away in them). The start of the school year usually heralds a marathon labelling effort, which means writing your child’s names countless times on all manner of school-related items. Wouldn’t it be great if you could outsource the task? The clever folk at Name Your Dummy will take care of personalising your children’s lunchboxes – how awesome is that? Name Your Dummy has two sizes of Sistema lunch boxes available – the small ($13.50) and large ($15.50) which can be labelled with your child’s name. There’s nothing better than an icy cold drink when you’ve been slaving away in the classroom all morning. 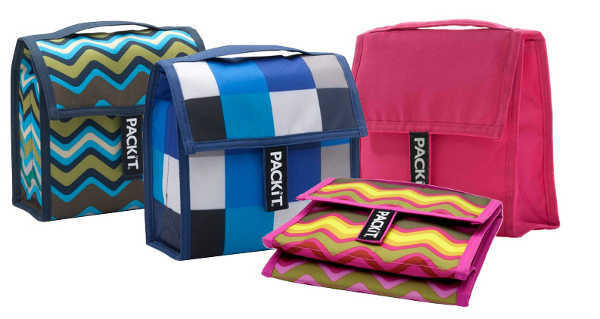 I love the idea of being able to keep kid’s lunches and drinks fresh and cool, and these nifty PackIt Mini Coolers are perfect for school lunches. The PackIt has an eco-gel liner, so there’s no need for an ice pack. You simply keep it in the freezer (it folds nice and flat) and take it out as you need it. They’re available in an array of colours from Bonito Baby for $19.95. 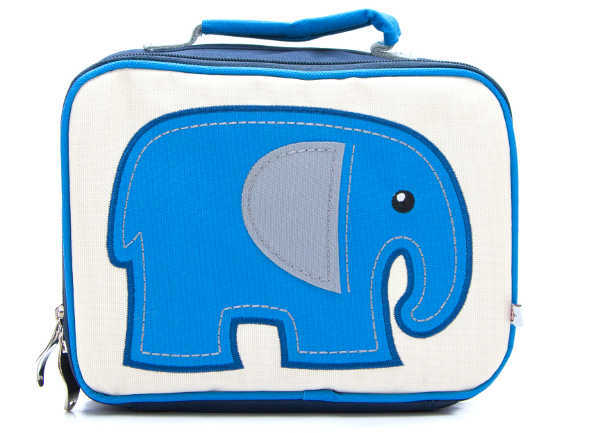 We unashamedly love Woddlers here at Babyology – so we can’t compile a Back to School Guide without mentioning the fantastic lunch boxes from this brand. The stand out embroidered characters (like Mr Elephunkee up there) are a hit with the kids. They have an insulated interior compartment and are PVC free. 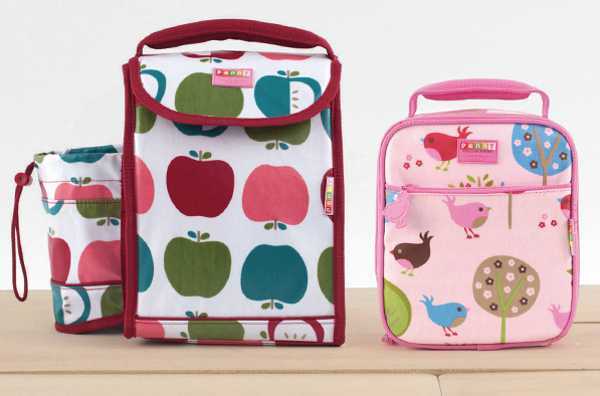 The Woddlers lunch boxes are available in several gorgeous designs, and cost $25.95 each. 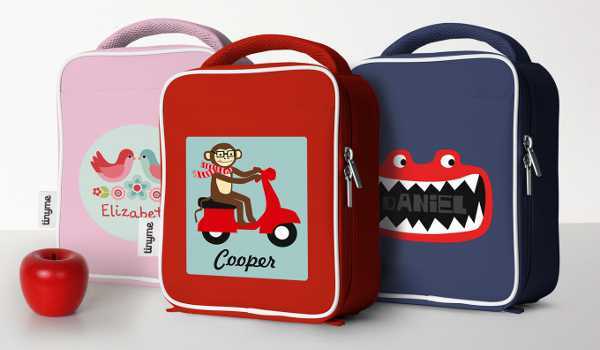 The cute factor is through the roof with these personalised lunch boxes from Stuck On You. The lining is water repellant and easy to wipe clean, and they’re durable enough to last many school years. Have a play around at Stuck On You to choose a colour, design and font style that suits your child. They cost $29.95. Penny Scallan Design has the beautiful lunch box category covered. The cotton canvas, thermal lined lunch boxes are large enough for a hefty lunch, but compact enough to slip into a school backpack. They come in some sublime designs, and cost $29.95. The Penny Scallan Design Backpack Lunch box is perfect for kinder kids, and comes with straps and drink bottle holder for $39.95. Here’s some old school style with a contemporary twist – and what a gorgeous combination they make. These retro-inspired So Young Mother lunch boxes from My Green Lunch Box are the bomb. 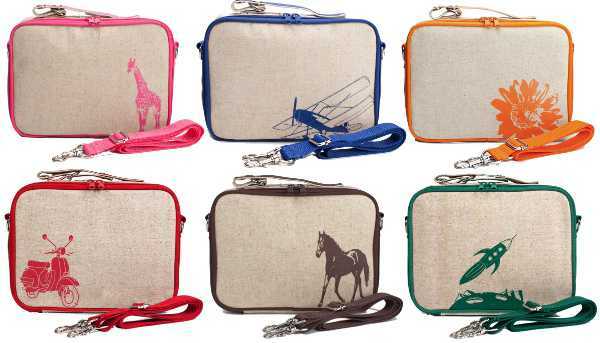 They can be worn as a back pack, or messenger style, and are adorned with a fabulous series of designs. They are insulated, and cost $34.95 each. 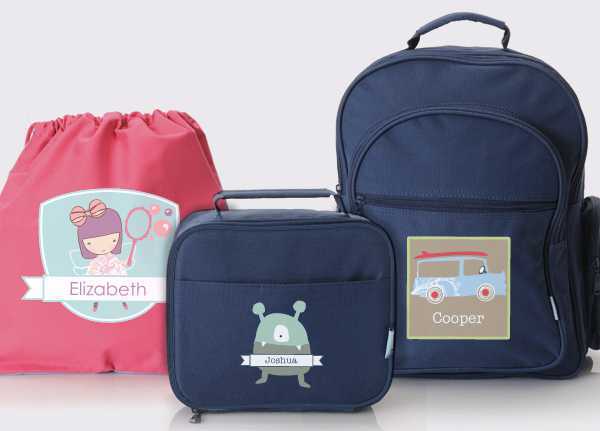 Tinyme has a gorgeous range of personalised lunch bags, which are tough, waterproof and a breeze to clean. There’s a mind boggling array of ways to personalise the lunch bags, with designs galore, and your child’s name can also be added. The interior of the bag is also padded, making sure precious lunch-time booty is safe and sound. Each personalised bag is $31.95. Now that you have the means with which to tote your child’s lunch to school, here’s a couple of tasty treats to put in them. The school day can be a long one for little tummies (and taste buds) so having something to look forward to at break time is essential. Aribars, from Artisse Organic have all bases covered. With flavours like Vanilla Blast, Caramel Crunch and Chewy Cocoa, they have tasty written all over them! But they also comply with school canteen guidelines. They’re sweetened with organic brown rice syrup and are made from organic, wholegrain rice. 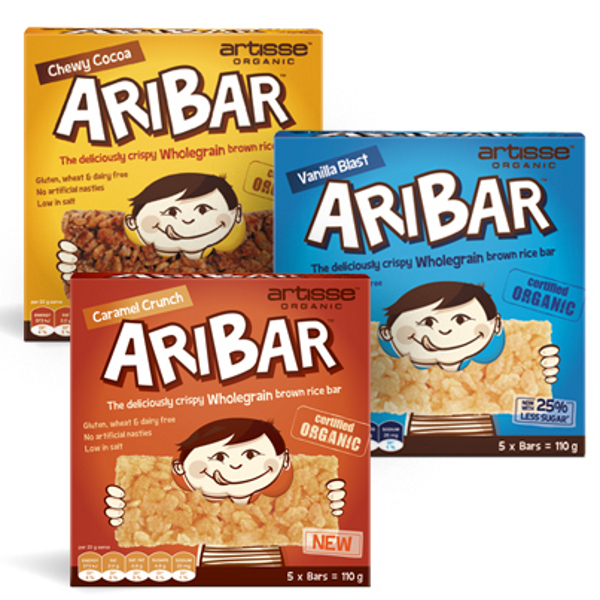 Aribars are also gluten, wheat and dairy free. Have a look at Artisse Organic to locate your nearest stockist. The playgroup and kinder crowd are well looked after by Little Bellies, with a handy range of small snacks for little folk. 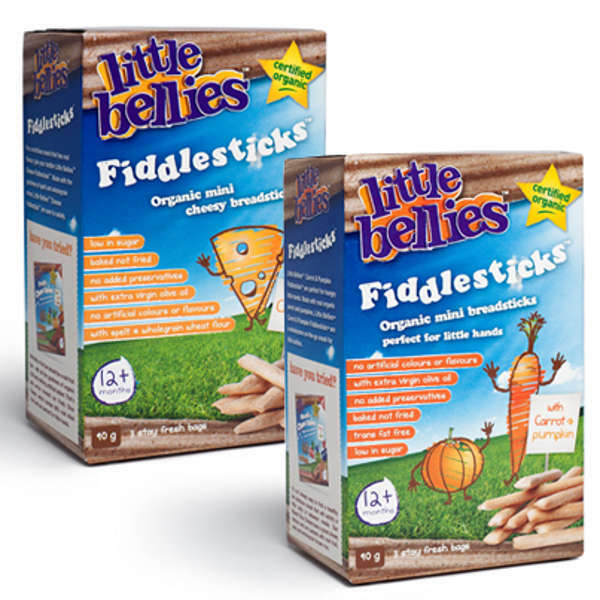 The Fiddlesticks come in Cheesy or Carrot and Pumpkin flavours and are certified organic. Theses mini bread sticks are baked and have no added preservatives. Browse through the lists of stockists to find one near you.